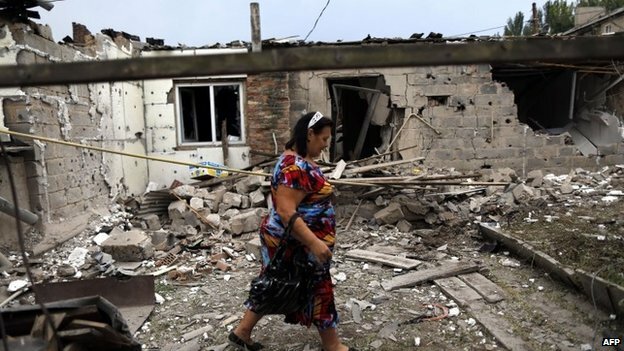 A humanitarian crisis looms in eastern Ukraine, where government troops continue military operations against pro-Russia forces, Press TV reports. Ukraine’s mainly Russian-speaking regions in the east have witnessed deadly clashes between pro-Russia protesters and the Ukrainian army since the government in Kiev launched military operations in mid-April in a bid to crush the pro-Russia protests. The political unrest in eastern Ukraine has so far claimed the lives of more than 2,000 people, according to figures by the Office of the UN High Commissioner for Human Rights (OHCHR). Nearly 300,000 people have been also forced to flee their homes due to fierce fighting in the east, the UN says.